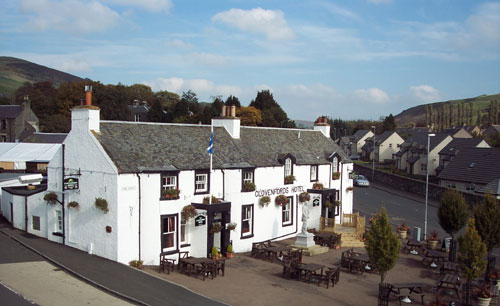 Clovenfords Country Inn Galashiels and District, Scotland. 1 Vine Street, Clovenfords, Galashiels, Selkirkshire. At the Clovenfords Country Inn we pride ourselves on offering good quality homemade food using only locally sourced fresh produce. Please download our latest menu opposite.